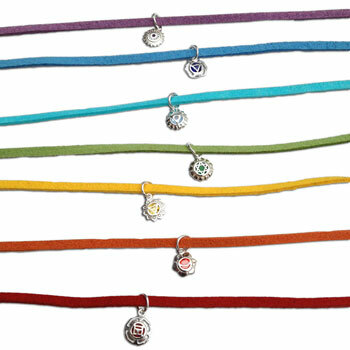 A set of 7 chakra bracelets or anklets. They offer great flexibility as you can tie them to fit nearly any size. You can wear them individually or in combination together. 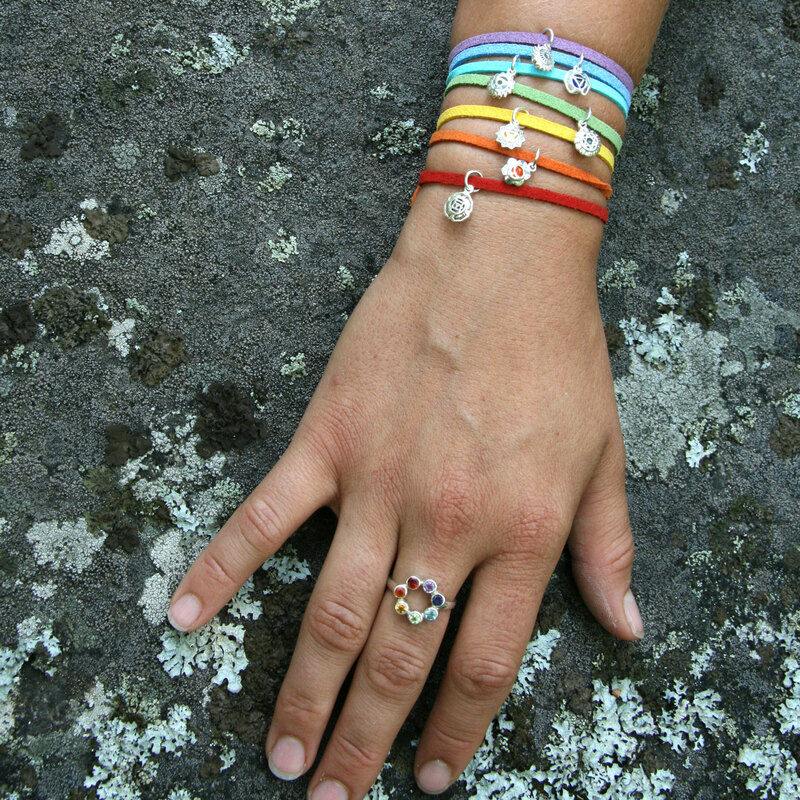 Each charm is about 0.8 cm / 1/3 inch, 0.6 g. The tie-to-fit band is about 30 cm / 12 inches total length. 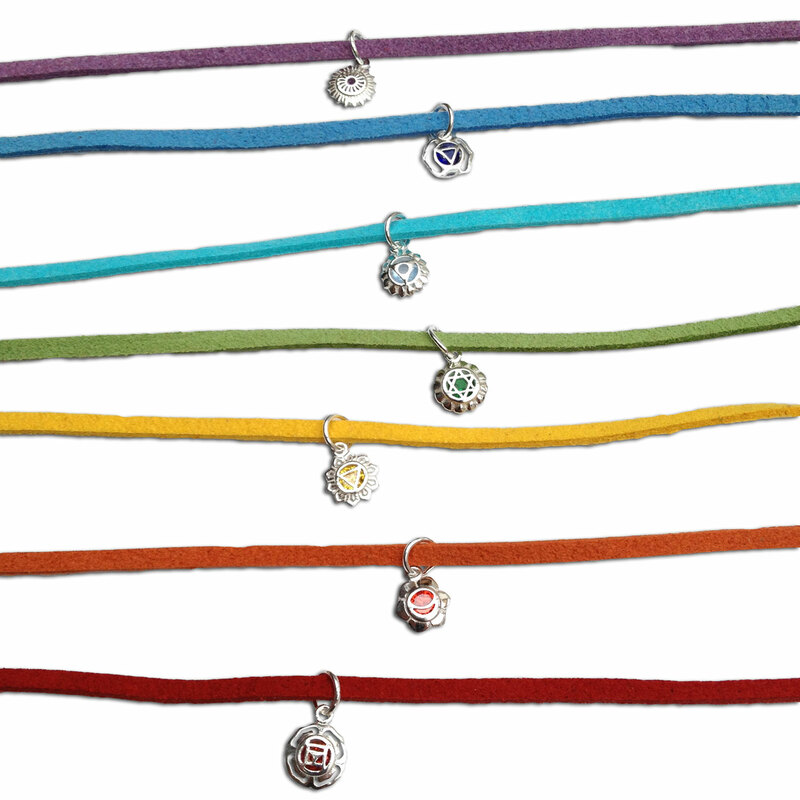 A set of 7 chakra bracelets or anklets. 4-sided hand carved chakra bead cubes on a color vegetarian suede cord that can be tied as an anklet or bracelet. 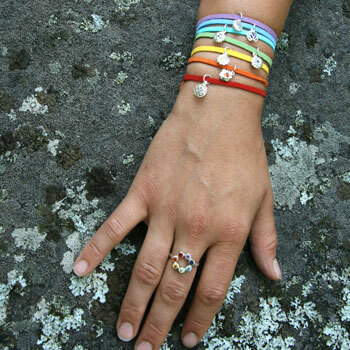 Each one corresponds to a different chakra and is tied on the related color. Communication. Honesty. Integrity. Necklace for the throat chakra. The necklace is made of a 1/2 inch removable throat chakra charm with spring clasp on a turquoise vegetarian faux-suede necklace with silver clasp. The necklace is adjustable from 16-17". Set of 7 Good Vibes Chakra Earrings. One pair of each is included in the set.